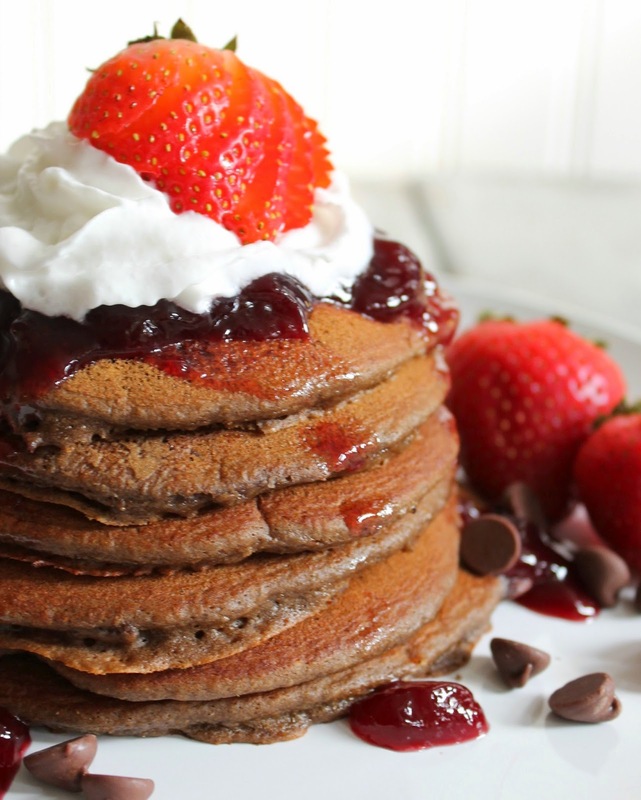 I love pancakes.. but these Chocolate Chocolate Chip Pancakes are to die for! 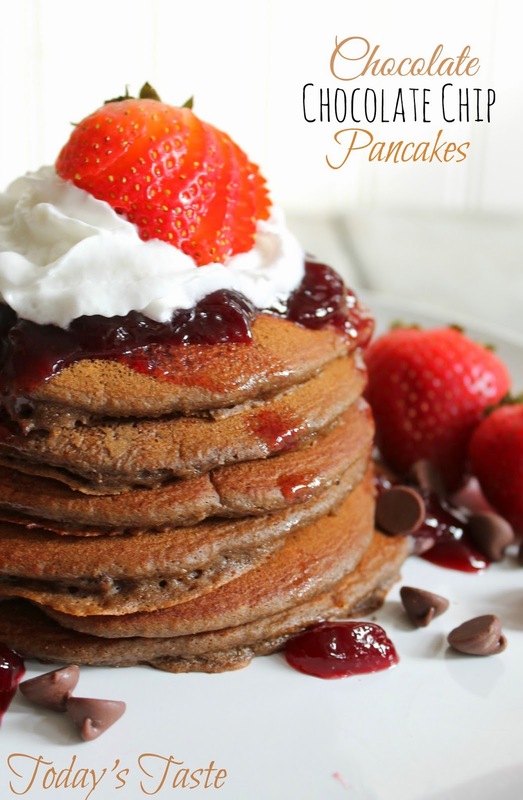 If you have never tried a chocolate pancake, I highly suggest these ones! Mix together milk, egg, butter, and vanilla. Combine dry ingredients (flour, sugar, salt, cocoa powder) and gently combine wet ingredients into the dry ingredients. Add in your chocolate chips. Do not over mix. Drop ¼ cup scoops of batter onto griddle and flip once. Serve hot with your favorite jam, maple or pancake syrup or top with a bit of whipped cream and fresh strawberries.